The 760-1200mm Offset Davit Mast offers a lightweight, easily transportable davit arm. The davit offers four different extensions to extend over your entry position but only the first two holes can be used as only these are CE rated. 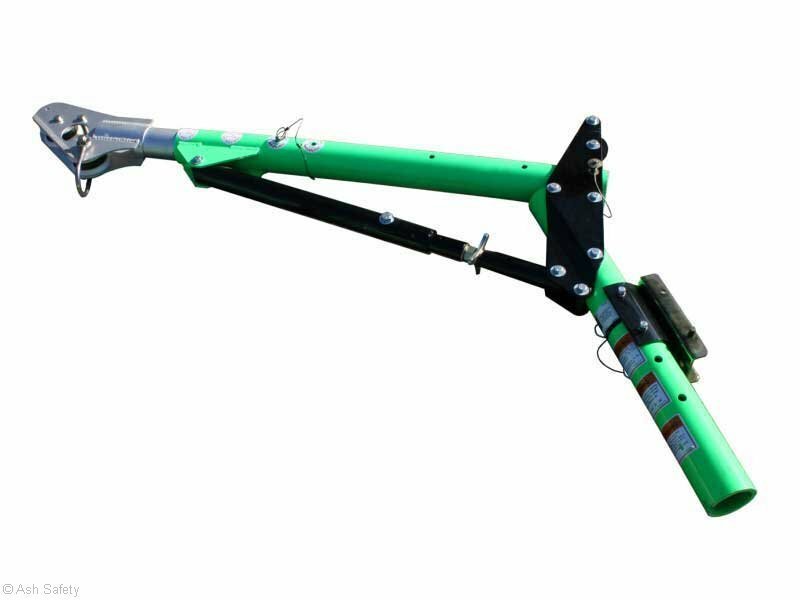 The angle can be set using an adjustable ram where height or rake could be critical. There are a variety of lower masts available to give you the height you need for your particular confined space entry requirements.